So it is Friday and it has been a very long week! But the Countdown to Christmas has begun! You can find my first day of Blogmas here if you haven't seen it yet! 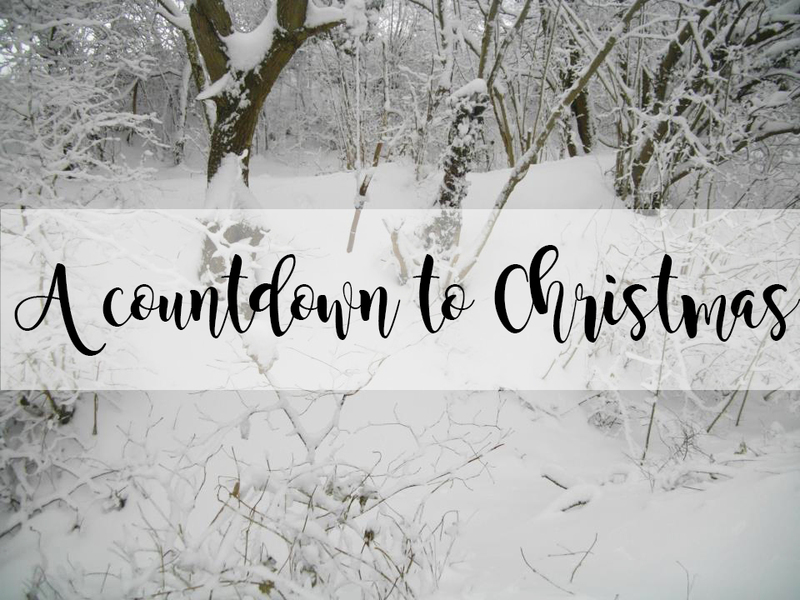 Have you started counting down to Christmas? Are you ready for Christmas or are you feeling a little bit overwhelmed? I'm one of those people that has to write down a list for absolutely everything so I am completely prepared, otherwise I'd be that person which leaves everything till the last minute if I didn't have my lists. It's finally time to wrap presents! I finished buying presents around two weeks ago (apart from a bought a sneaky one last week), I just haven't had the time to wrap them up yet! Wrapping presents is my favourite thing to do around Christmas time, apart from baking of course (although I'd say wrapping comes before baking). If I could be an elf at Christmas and wrap literally everyone's presents, oh I would! Dream job right there. Make sure you have enough wrapping paper, bows and tags and if you want to go all out like myself, you'll need lots of tape and ribbons too! I'm not entirely sure if this is going to be on anyone else's list of things to do around Christmas, but I absolutely love writing lists of what food we need to buy and when we need to buy it. There's just a huge amount of joy about writing lists of food. You're probably thinking "what a weirdo" but this is something I do take time to prepare for and I will spend a good few days thinking about it too! Lastly, baking for Christmas is my second favourite thing to do. I absolutely love baking (you'll probably know this if you're a regular reader of my blog) and knowing I can turn something quite boring into something beautiful and festive brings a lot of happiness to my life. I have so many bakes planned for Blogmas so stay tuned for them! And of course, make sure to follow my social media accounts below to keep up to date with Blogmas! Do you plan anything for the run up to Christmas?